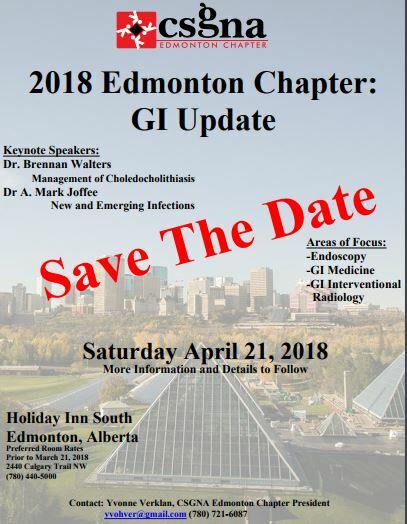 CSGNA is the National leader in Gastroenterology (GI) Nursing contributing to and providing access to, evidence-based standards, guidelines, position statements, expert opinions, publications, and education. 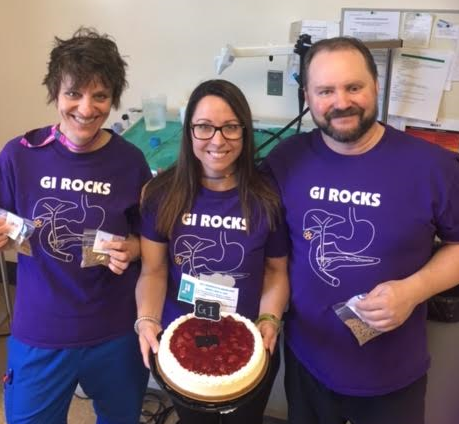 CSGNA collaborates and partners with organizations and health care groups to provide advocacy, contributions to research, statistics, and a diverse network of GI Nursing Professionals and associates. "CSGNA Membership has been an enriching experience for me both on a professional and personal level. 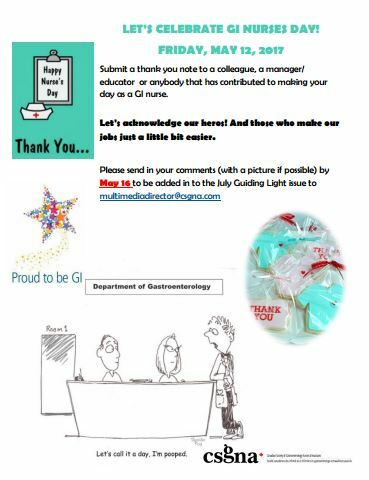 I have felt supported by the Association and have met many wonderful GI nurses in the 16 years of membership." Present Canada Centre Executive Board member Joan McKechnie, has retired and has stepped down from her current position of Canada Centre Board member. Her position is now vacant and will need to be filled as soon as possible. 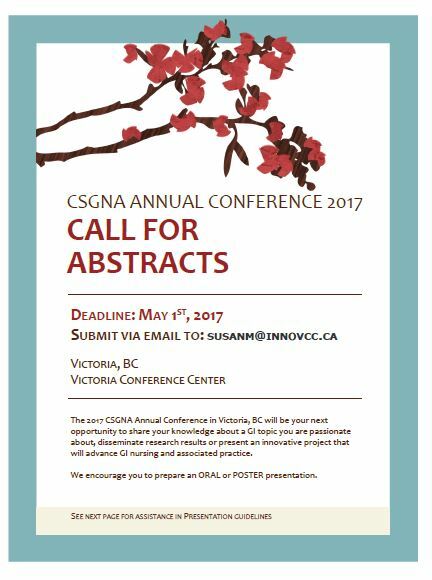 Please send nominations or position of interest to Miranda Boyer at: csgnaadmistrativeassistant@csgna.com. See Certification for more details. Congratluations Donna Power and Mabel Chaytor on your Retirement! Mabel Chaytor is retiring after 42 years!!! Mabel Chaytor…… a famous name in the city’s hospital halls. Everyone knows Mabel! And even today, patients and staff still ask for her and about her. There is no doubt she has had a tremendous impact on a lot of people over the years. Graduated from the Grace in 1974, she has worked in various areas of nursing over her longstanding career including the emergency department, but she found a permanent home in Endoscopy. I have had the opportunity to sit in on a lecture on creating poster presentations through a university and I thought it would be very valuable to share what I learned with our members. 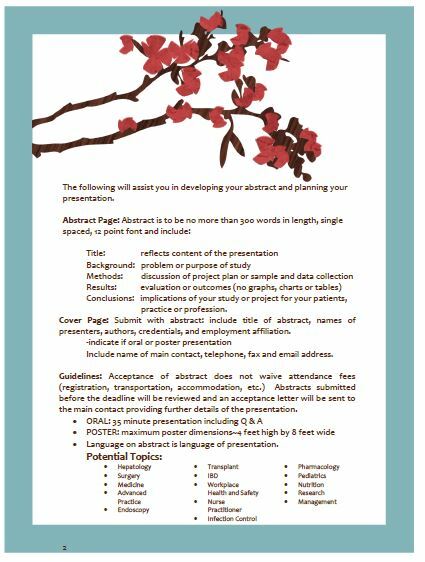 The purpose of making a research poster is to give a visual summary of a proposal or findings. It is used to facilitate conversation among peers and it looks good on a resume!